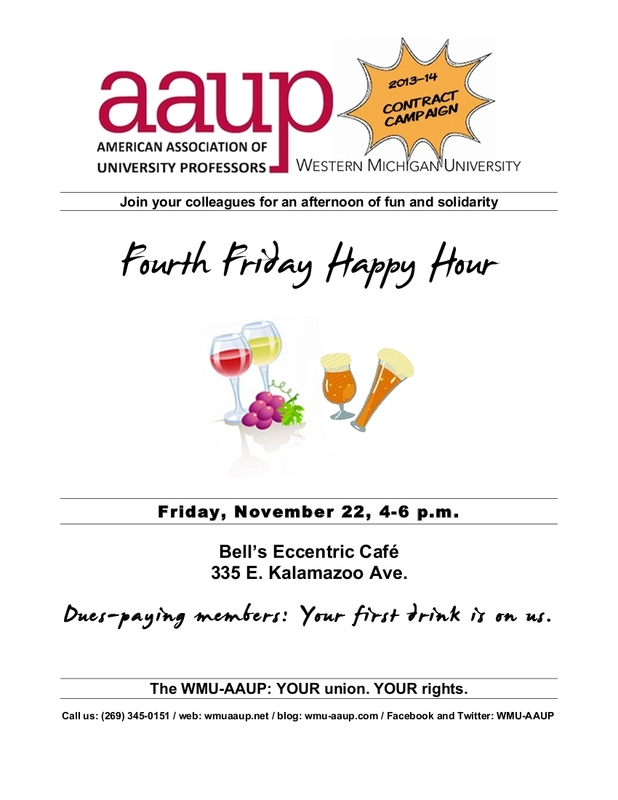 Colleagues, please join us for fun and solidarity at the last Fourth Friday Happy Hour of the fall semester on Friday, November 22, 4-6pm, at Bell’s Eccentric Cafe (335 E. Kalamazoo Avenue). As always, your first drink is on us. Hope to see you there!